Wilmington, NC: On June 21-24, travel industry partners in Wilmington and its island beaches will welcome the 2018 North Carolina Bar Association (NCBA) Annual Meeting. More than 650 attendees, along with additional guests and family members, will bring a total of approximately 800 people to the area during NCBA’s 120th consecutive Annual Meeting. This year’s primary meeting venues include the Wilmington Convention Center and the adjacent Embassy Suites by Hilton Wilmington Riverfront. 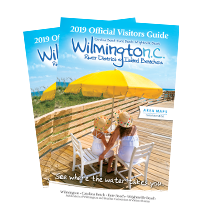 Other host accommodations include the Courtyard by Marriott Wilmington Downtown/Historic District, and the Hampton Inn Downtown. This year’s meeting theme, “Future of Law,” will explore issues facing the legal profession with General Session topics that include: Artificial Intelligence and the Changing Legal Landscape—Today and Tomorrow; Virtual Reality; Design Thinking in the Law; From Art to Science—Improving Legal-Services Delivery; and The Political Future. Other highlights include two joint events with the N.C. Superior Court Judges’ Conference, which is being held concurrently at the Hotel Ballast. Chief Justice Mark Martin will present the NCBA’s State of the Judiciary Address. New this year are CLE credit programs that are included with registration. Optional group activities include special tours, cruises, attractions and a golf outing. Wilmington Trolley Company will provide transportation. For more information about the North Carolina Bar Association’s 2018 Annual Meeting, please visit www.ncbar.org/members/annual-meeting. The N.C. Bar Association Annual Meeting is the premier and largest networking event for North Carolina lawyers. Based on registration information provided by event organizers, TDA President/CEO Kim Hufham estimates that the event will generate direct spending of approximately $886,000. Using a conservative 2.5 multiplier, the total economic impact is more than $2.2 million.